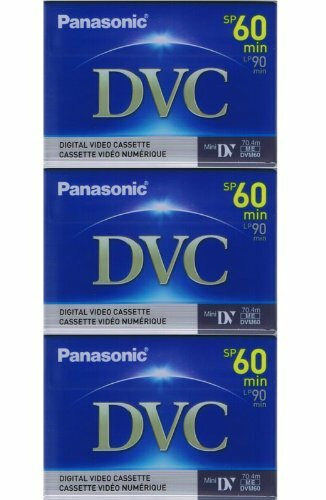 3 Mini DV MiniDV VIDEO TAPE CASSETTEs for JVC GR-D33 D70 by Panasonic at EISF. MPN: MDV60DU3-229. Hurry! Limited time offer. Offer valid only while supplies last.